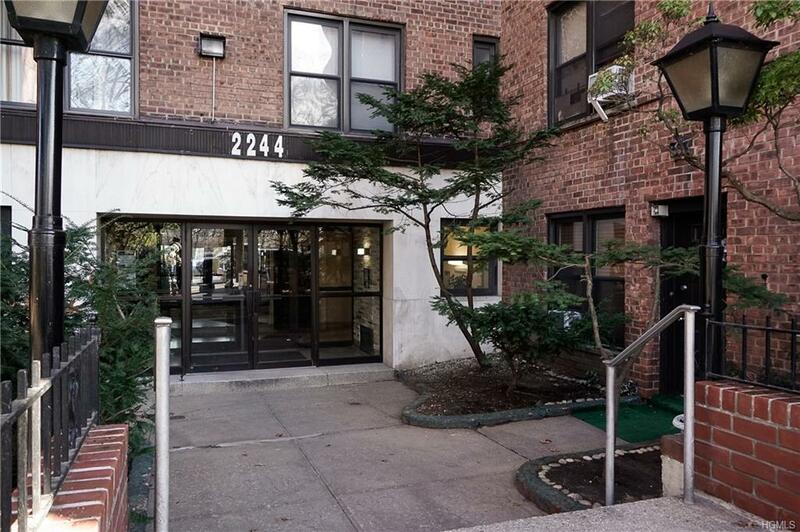 2244 BRONX PARK EAST APT. 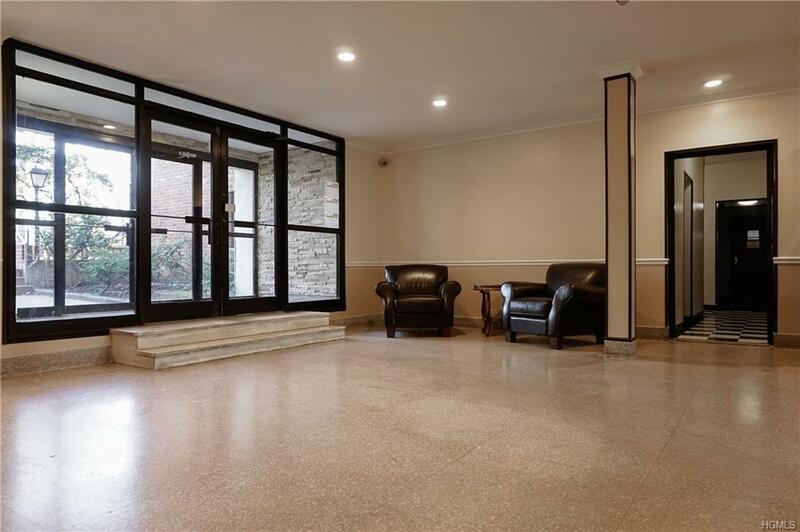 6H - Rare top-floor 892 s/f 1 BED/1 BA SPONSOR UNIT (No Board Approval) w/ Dining L, windowed EIK & Bath & high ceilings, awaiting your design & decorative imprimatur. 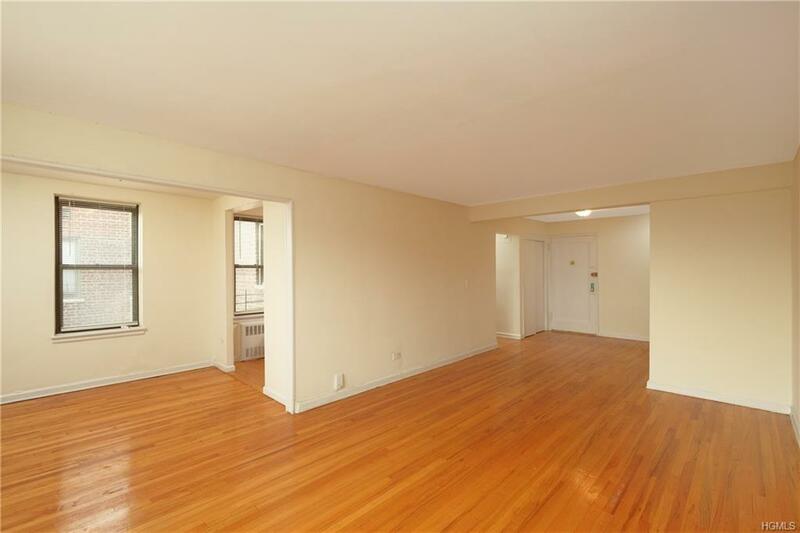 Open south & west views onto Reiss Place & Bronx Park just across the street. Affordable to own: $40K cash down + $653.26/Mo. Maint.(incl. H/HW) = $1,568.09/Mo. PITI b/4 your after-tax benefit! Reiss Hall is an early post-war, non-doorman elevator apartment building attributed to Lawrence M. Rothman, Architect ca. 1956, whose other work includes 50 Sutton Place South NYC 10022. Impeccably-managed co-op, resident sup't, on-site laundry & garage (waitlist). Space, light, views, affordability & convenience: New York Botanical Garden, world-famous Bronx Zoo, Arthur Avenue aka 'Little Italy of the Bronx' & White Plains Road business district outside your door. IRT Subway #2 & 5/BxM11 XP Bus/MetroNorth service to midtown NYC in under 45 minutes. No pets/no subletting/no investors. Opportunity knocks! 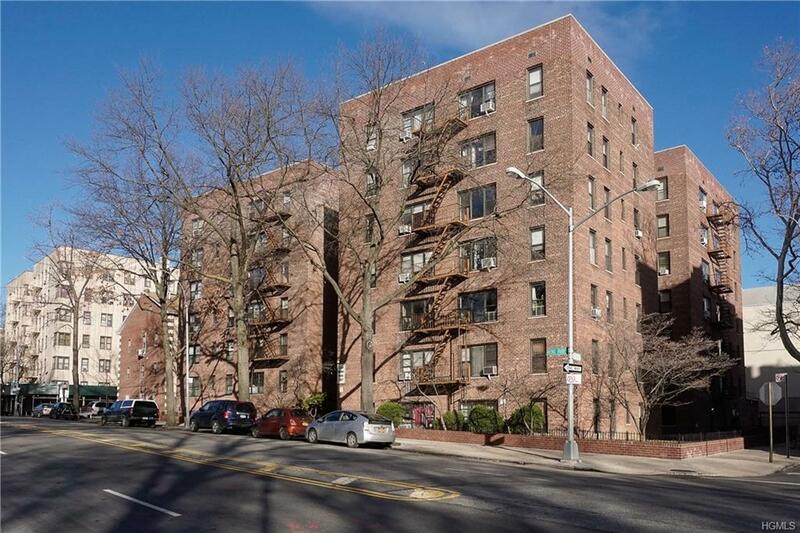 Listing courtesy of Peter Segalla of Houlihan Lawrence Inc..
© 2019 Hudson Gateway Multiple Listing Service, Inc. All rights reserved. IDX information is provided exclusively for consumers' personal, non-commercial use and may not be used for any purpose other than to identify prospective properties consumers may be interested in purchasing. The information appearing herein has not been verified by the Hudson Gateway Multiple Listing Service, Inc. or the Hudson Gateway Association of Realtors, Inc. or by any individual(s) who may be affiliated with said entities, all of whom hereby collectively and severally disclaim any and all responsibility for the accuracy of the information appearing at this web site, at any time or from time to time. All such information should be independently verified by the recipient of such data. This data is not warranted for any purpose. The data relating to real estate for sale or lease on this web site comes in part from HGMLS. Real estate listings held by brokerage firms other than Mark Boyland Real Estate Team | Keller Williams Realty Partners are marked with the HGMLS logo or an abbreviated logo and detailed information about them includes the name of the listing broker. Data last updated: 2019-04-24T15:15:35.22.